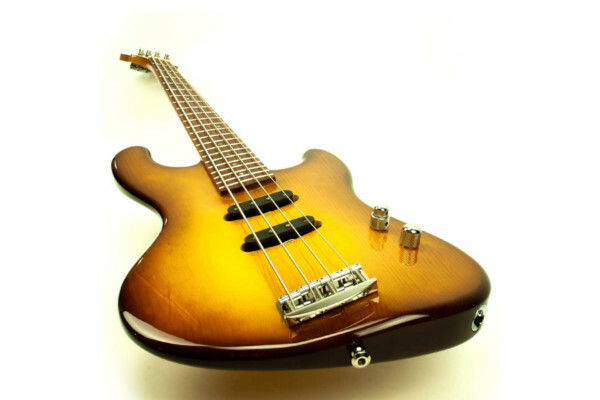 With time comes innovation, and for bass players it means lighter rigs, improved effects pedals and ergonomic basses. 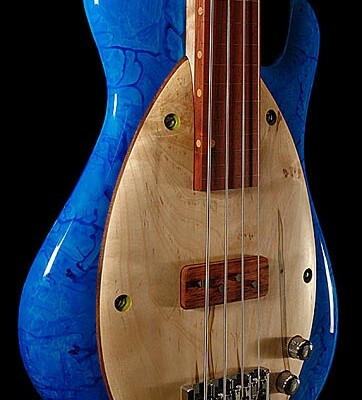 The Little Guitar Works Torzal Bass is a prime example of that progressive ideology. 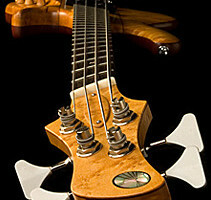 The customizable bass features your choice of woods and pickups, but the real “Twist” is in the neck. Literally. Developed in the mid-90s as a response to players with Carpal Tunnel Syndrome, the Torzal Standard’s neck is rotated a total of 35 degrees, with (+)15 degrees at the bridge and (-)20 at the nut. The twist allows for more natural positions for both left and right hands, reducing tension from conforming to the instrument and ultimately lowering the risk of injury. The strings aren’t parallel to each other, the fretboard follows the angle to keep intonation and tone. Builder Jerome Little also took weight and balance into account for overall comfort. The Little Guitar Works Torzal Standard is available in 4- or 5-string versions. 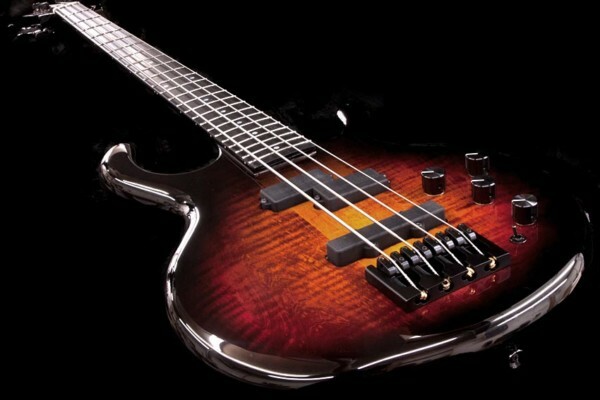 For more on the bass, visit the manufacturer’s website. I want to see a video of someone playing this. 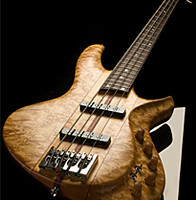 I really applauded luthiers who are taking big leaps in bass construction. I like the idea, and I would love to try one! This is WILD!! I must see someone playing this BASS!!! Seriously – sweet looking bass. Wow, simply an amazing concept. Are these available anywhere to test out? I’ve got Pedullas with thin necks that I love, but to have that twist… The speed has got to be incredible with the relief of tension! I own a Little Guitar Works torzal bass, the first bolt-on prototype, actually. 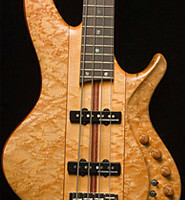 There is really not much different about playing a LGW torzal than any other bass or guitar other than the top of the neck is slightly out of your sight line. Otherwise, all you notice is that it is easier to play. Or maybe, you realize that stress is no longer there that was before. While it looks dramatic, the functionality is common sense and it is absolutely no different to set up, intonate, maintain than any other guitar. That’s the brilliance of Jerome Little. Add to that the incredible luthier craftsmanship on these guitars and you have a prize you’ll never let go of. After only a few weeks playing the bass, I developed pain in my right wrist. In experimenting with different positions, I figured out that the neck would have to twist in order for both wrists to be straight, which of course couldn’t be done-except it has, for 20 years. What happens to the left wrist up high on the neck, though?